Recognition has a direct correlation with boosting employee morale and profitability of the organization. Once an organization understands the value of this process, they will be sure to adopt the same. Implementing effective recognition mechanisms is a culture building that often takes time to develop and accepting it as an important aspect for employee retention and to enhance productivity is not quite synonymous with organizational behavior yet. I firmly believe that recognition has a direct correlation with boosting employee morale and profitability of the organization. Once an organization understands the value of this process, they will be sure to adopt the same. However, there are certain challenges which an organization faces while implementing such initiatives. 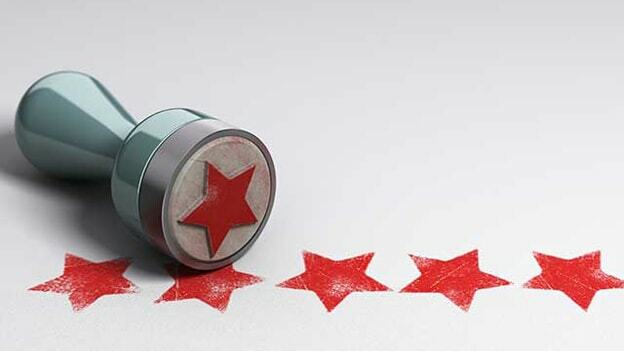 Many firms want to implement a rewards and recognition program, but they often find it difficult to identify the criteria and parameters on which it should be based. This complexity increases when the organization has multiple levels and different practice verticals comprising of people with different skill sets as the organization struggles to find the common chord connecting them all and how to evaluate them. We all understand that client requirement will always take priorities over internal people agenda and therefore getting the adequate time from business leaders to get involved in this initiative becomes difficult. CHROs and CPOs always need to play an important role by ensuring that buy-in from leadership is there. If an organization expects to take approval from multiple levels for recognizing an individual, then the initiative is bound to die its own natural death. Organizations should try to make the process as simpler and effective. At the end of the day, this is a motivational tool to make the performers feel special. We should not make it sound too hierarchical in nature and should empower young managers to take their own call on whom they want to recognize. How to make the program engaging? Show employees the purpose rather than the profitability - Employees are inspired by knowing that their hard work makes a difference beyond profitability. Leaders should show them the big picture by connecting the dots and how does each one’s individual task adds up to the entire organization’s vision and goal. Clear and Frequent Communication – Most of the organizations in spite of having a well-defined vision and mission statement and having the appropriate leadership team, fail in engaging with people due to the lack of an effective communication channel. Training sessions, memos, newsletters, FAQs, and regular meetings can all be used to present the company’s vision to its employees. It will not be wrong to say that the most important role of being a good manager is to communicate effectively with its team members. Creating a culture of communication in which managers and employees share common goals and work together to meet them can boost a company’s engagement quotient and productivity beyond proportion. People feel more engaged and attached to their organization if they are kept updated on various developments happening within the firm. Ownership instead of mere Accountability - Enforcing accountability is a key component in sustaining performance momentum. However, when the organization gives their employees “ownership” in the process of enforcing accountability, it inspires trust and a desire to go above and beyond the call of duty. Giving ownership to an employee means that you have shared and entrust them with your authority. You are now allowing your employees to “call the shots” based on what they believe is in the best interest of the team and the organization. One of the greatest challenges any recognition program faces is maintaining momentum after the newness of the program wears off. It’s typical for a recognition program to start off strong, with lots of employee participation and support, and slowly fade into vagueness. Maintaining a recognition program takes effort and constant monitoring. In fact, a best practice for recognition programs is change and flexibility. As the architect of your organization’s recognition program, you need to be frequently reviewing your program and making the necessary tweaks and adjustments to keep it running like a well-oiled machine. However, sometimes your team just needs a friendly reminder or a little incentive to get the ball rolling again. Ensure proper branding and packaging of your recognition program: It is one of the most striking factors when you are launching a new reward and recognition program. Your program should clearly have a Name, Purpose, and identity. Make the communication look appealing by using visual graphics and ensuring that it is communicated internally at regular intervals to create momentum and not as a one-time activity. Making the recognition process simpler and less hierarchical: Having a more approval based recognition system generally fades out over a period of time due to the multiple levels of approvals. Recognition process has to be simpler and spontaneous and managers should be empowered to nominate their team members rather than waiting for leaders to approve. Anirban Das is the Chief People Officer at Lakshmikumaran and Sridharan. He is also among the top 100 HR Leaders under 40 years age @Jombay 2018.